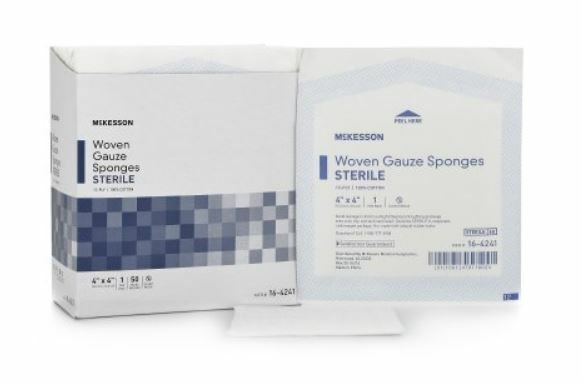 Gauze Pads - McKesson 12 Ply, 4" x 4"
Sterile, white sponge dressing that measures 4" x 4" and is made from 12 ply gauze. Manufactured by McKesson. Comes 1 per pack and 50 packs per box. Packed in convenient, peelable pouches. 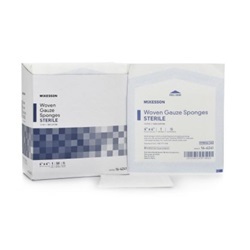 Appropriate for wound dressing, cleaning, prepping, or packing. Reduced linting with 100% cotton material.